Will a swimming pool increase your rentals on the Outer Banks? Without a doubt – YES! In fact, some OBX rental companies will not even manage your rental property unless it has a pool! Why is a swimming pool a necessary commodity for your property? Frankly, when you have a family – going to the beach simply is not all that easy – not to mention the sandy mess it makes! The ocean on certain days and areas can be treacherous. People who vacation on the Outer Banks are here to enjoy the outside – and adding a pool allows them to easily do this without a whole lot of hassle. Typically, homes with a pool also experience a decrease in wear of the interior of their property because people spend more time outside! It’s a win-win! Why Southern Scapes? 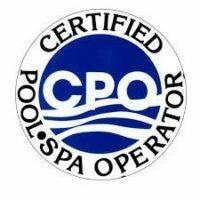 We install more pools than any other contractor on the Outer Banks and in the surrounding area because we know how to tackle every job and its unique challenges. As both a licensed General Contractor in NC and a landscape designer/installer, we work with our clients to maximize both the functionality and aesthetics of their property by providing a unique turn-key project.